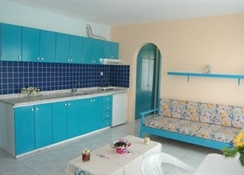 These apartments are ideal for families and couples looking for flexible accommodation for a beach-based holiday in Turkey. It offers 40 accommodation units in total. The complex is fully air-conditioned and has a lobby, 24-hour reception and check-out service, a safe, currency exchange facility, cafÃ©, mini-supermarket, bar, games room, TV lounge, restaurant, Internet access, as well as room and laundry services (both subject to fees). Parking facilities are available to guests arriving by car. 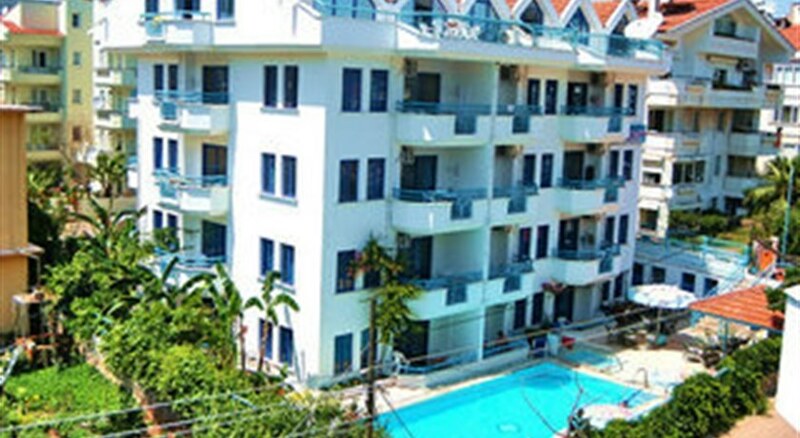 LocationThis apartment hotel is 2 km away from the centre of Marmaris and 250 m from the beach, shops, bars and restaurants. The nearest nightlife opportunities can be found in the centre of Marmaris. Dalaman Airport is some 90 km away. RoomsAll units come with a bathroom with shower, toilet, balcony or terrace, kitchenette (with fridge and tea and coffee making facilities) and a direct dial telephone. Other in-room facilities include a TV, hairdryer and individually adjustable air conditioning (subject to fees, payable locally). 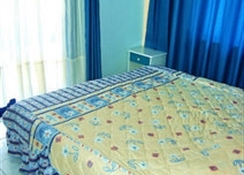 The rooms also eature a double bed as standard. SportGuests may take advantage of the outdoor pool with children's pool, poolside snackbar, sun loungers and parasols. A solarium, pool/snooker facilities and an entertainment and activity programme (subject to fees) are also offered. The nearby beach is both sandy and pebbly and comes with sun loungers and parasols (both subject to fees). MealsLunch and dinner are available from a set menu.